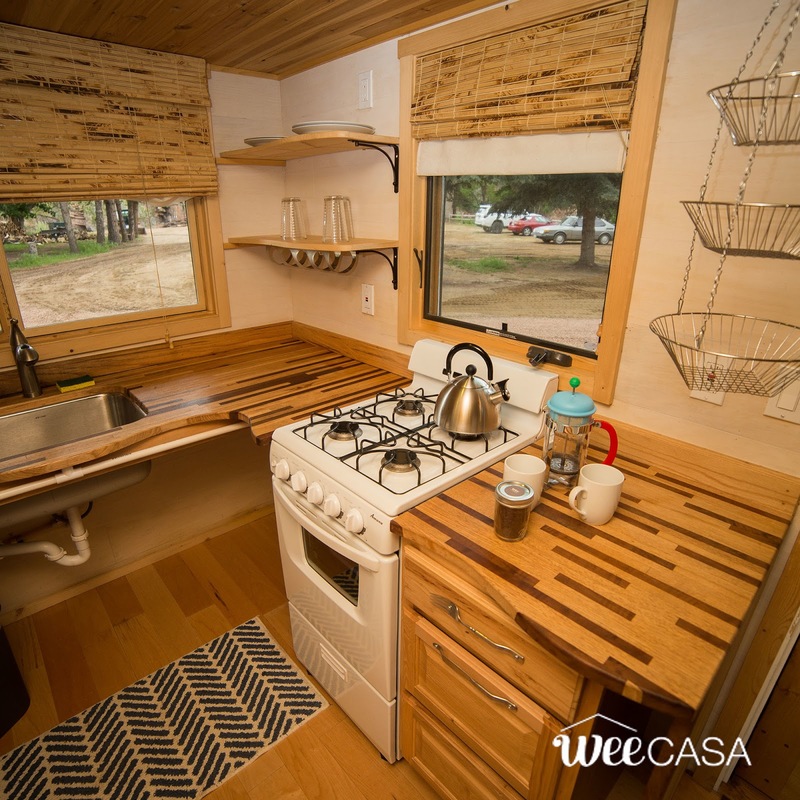 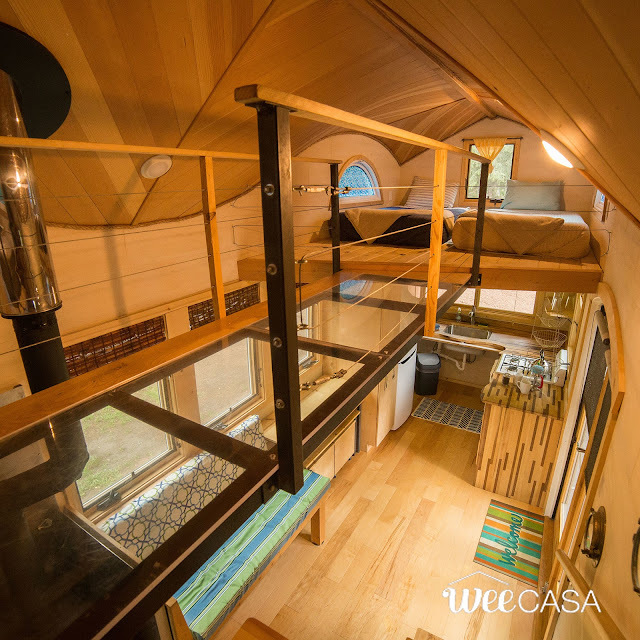 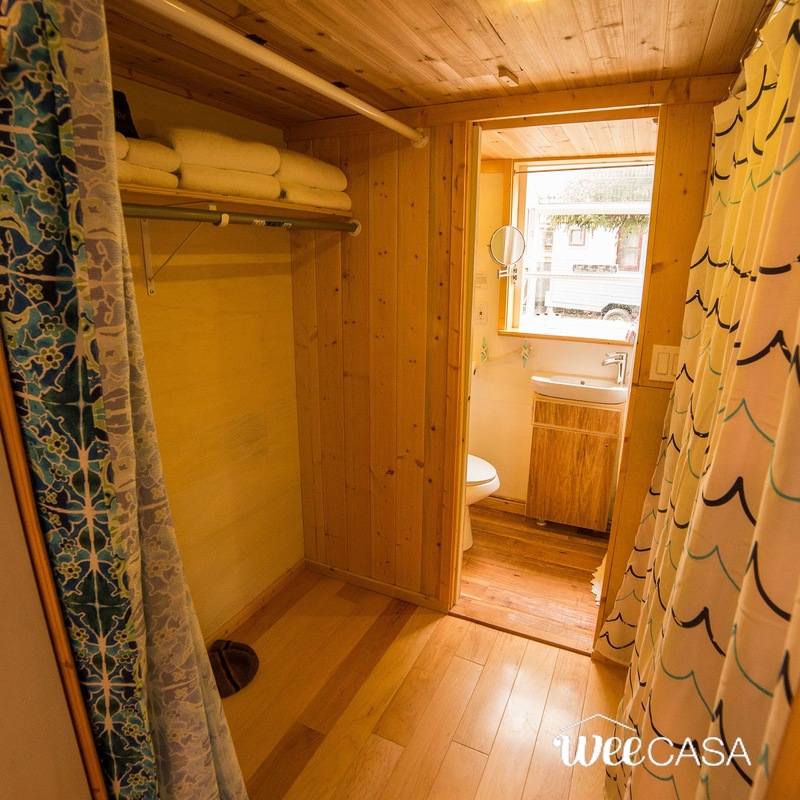 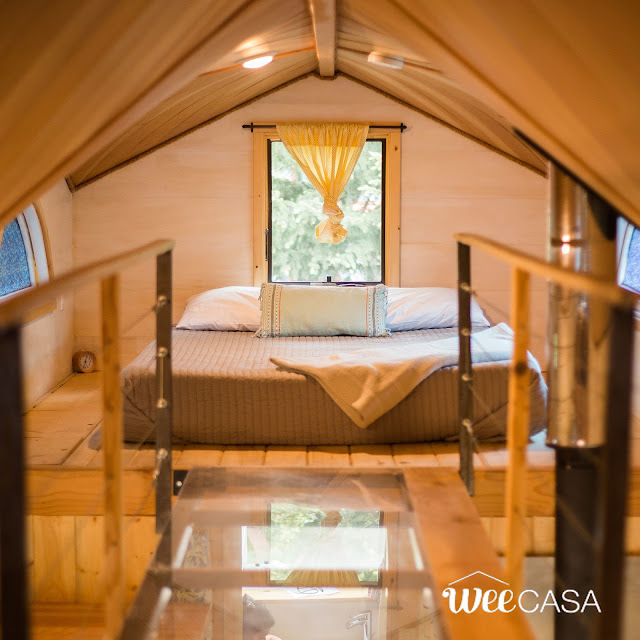 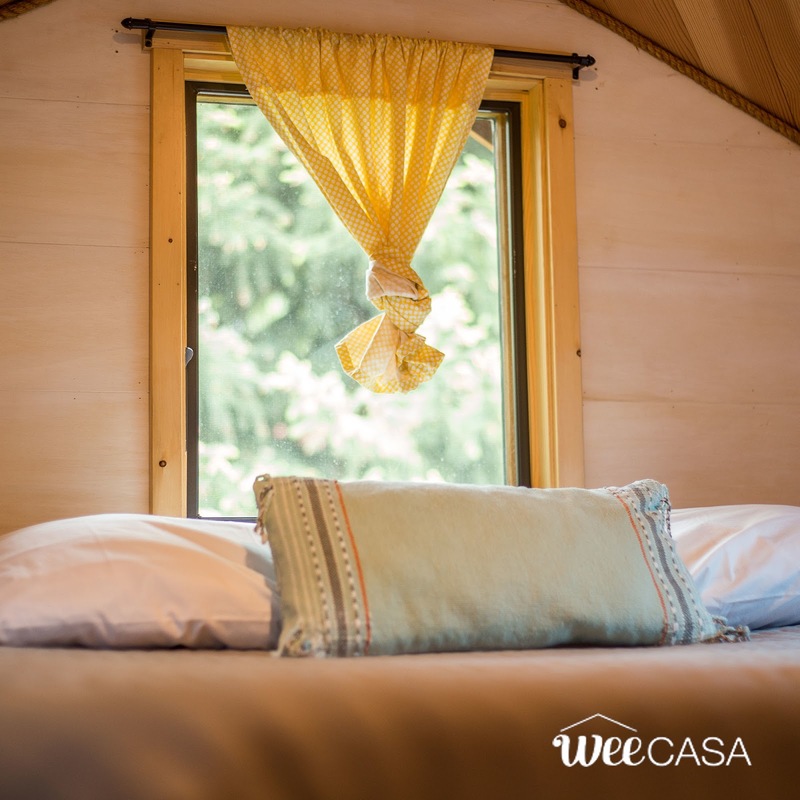 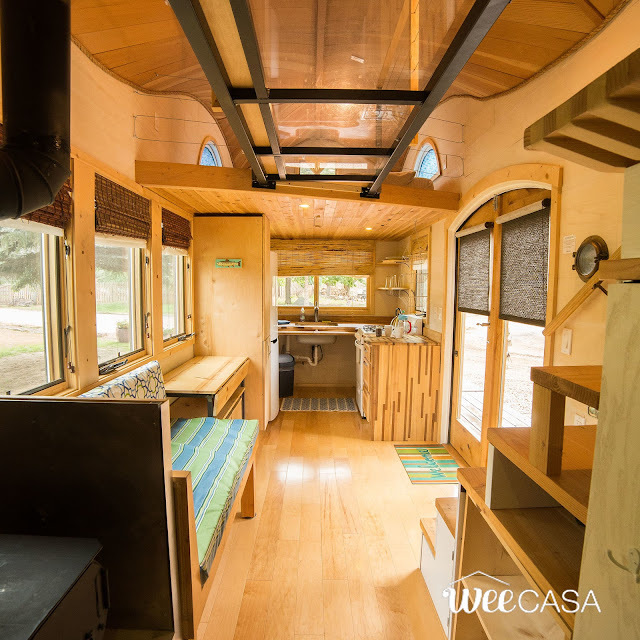 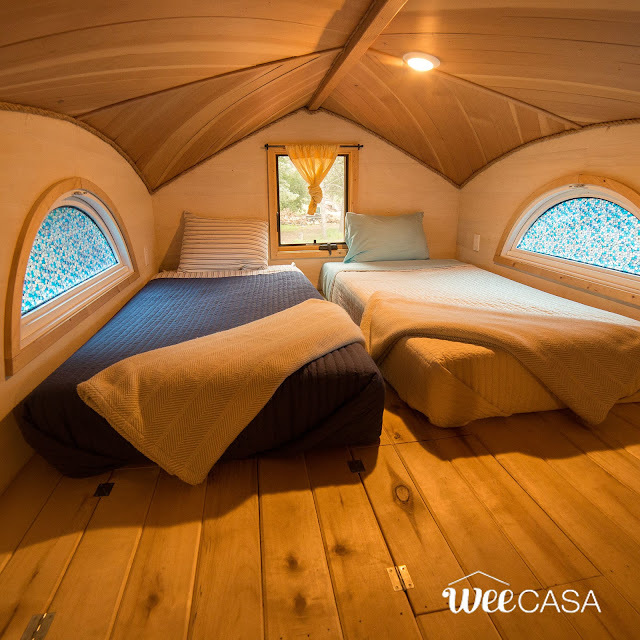 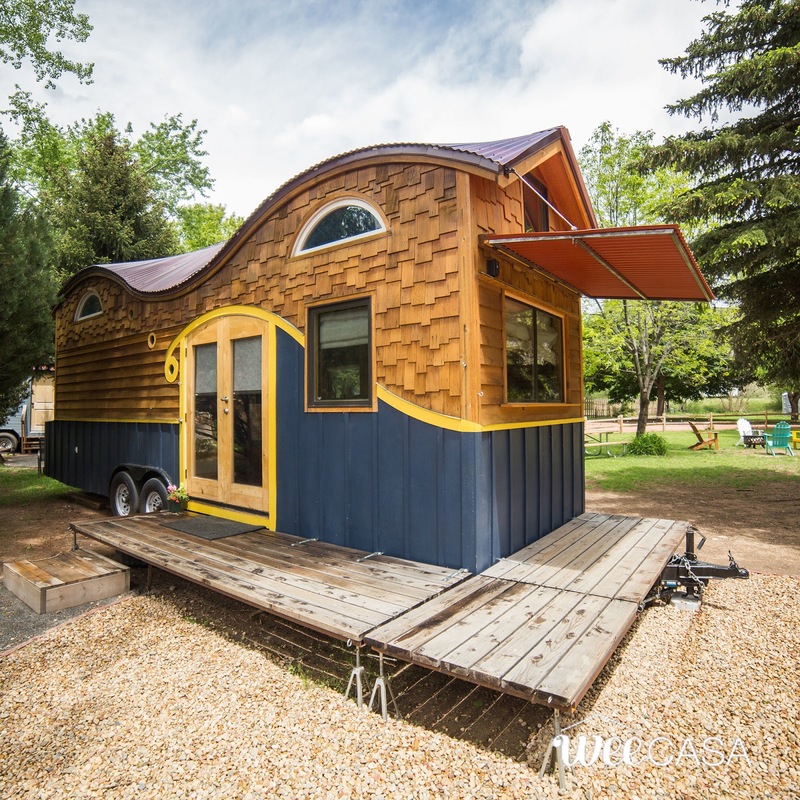 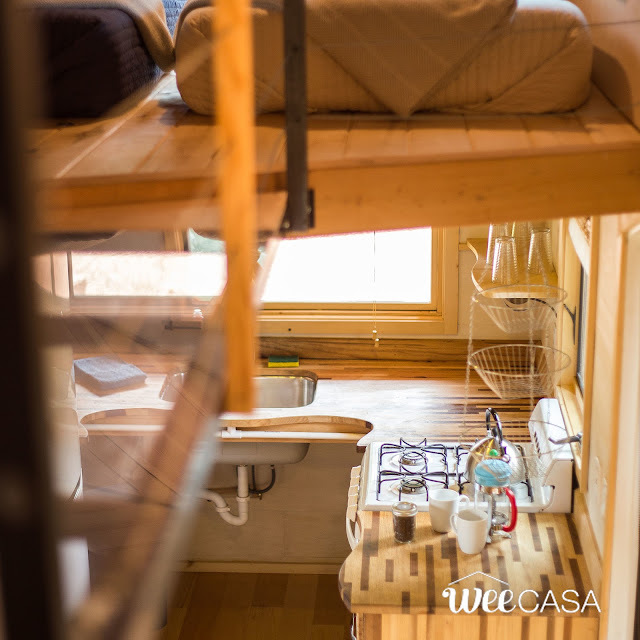 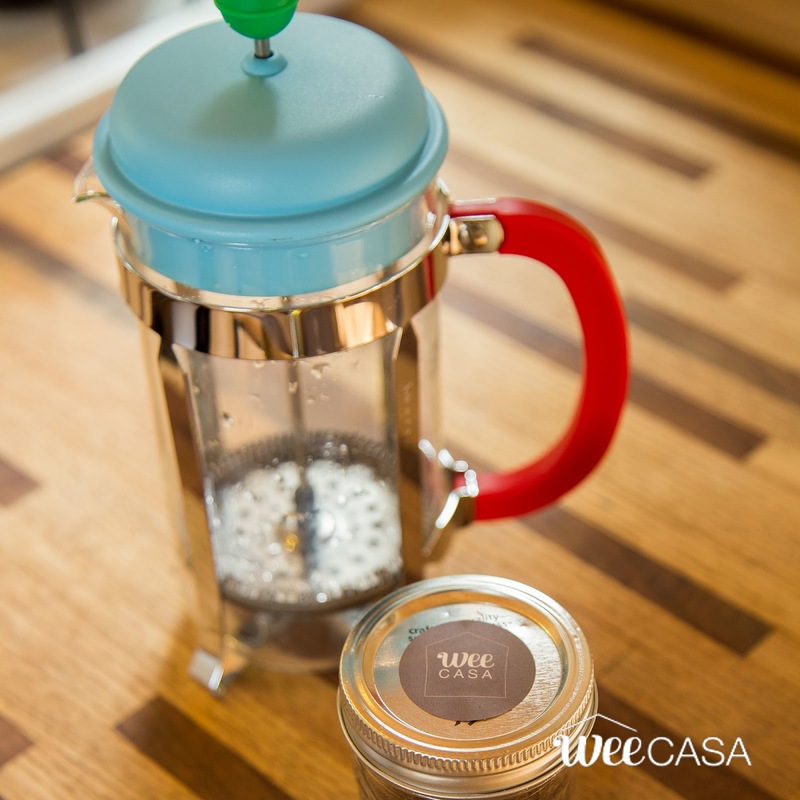 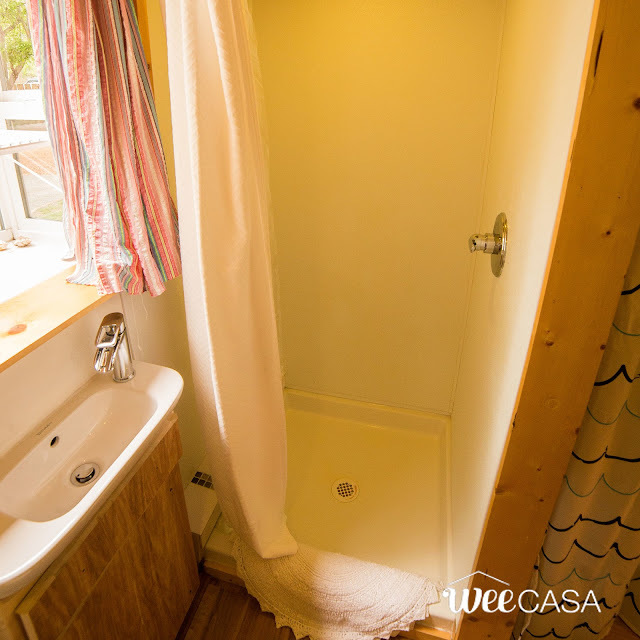 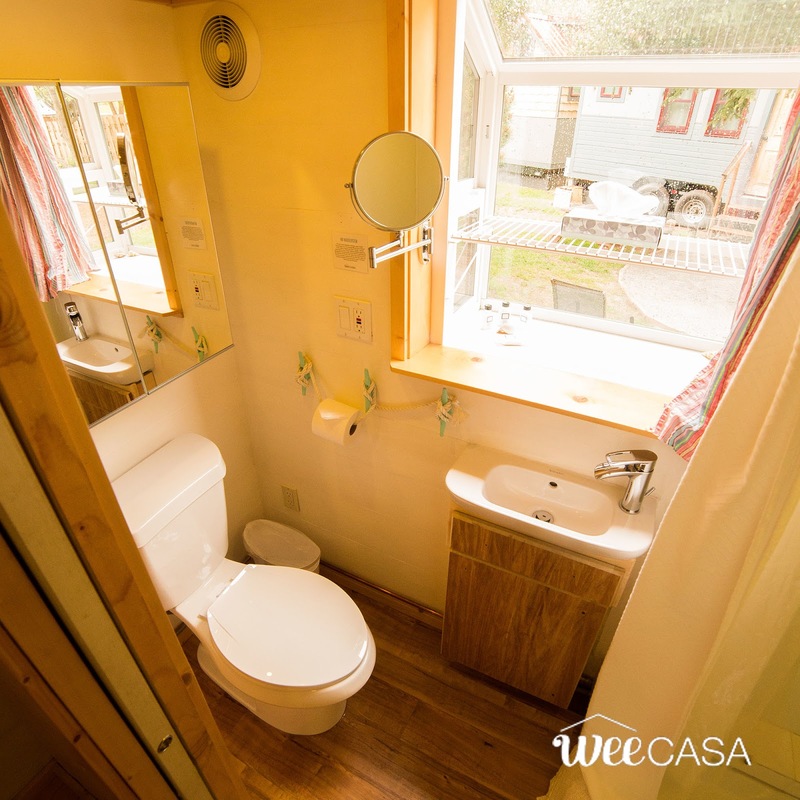 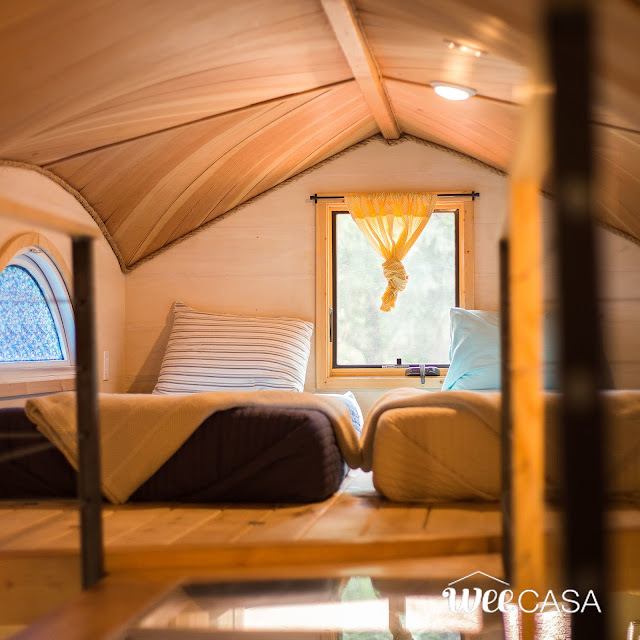 For a truly unique getaway, check out the Pequod- one of several tiny homes available at the WeeCasa Tiny House Resort in Lyons, Colorado! 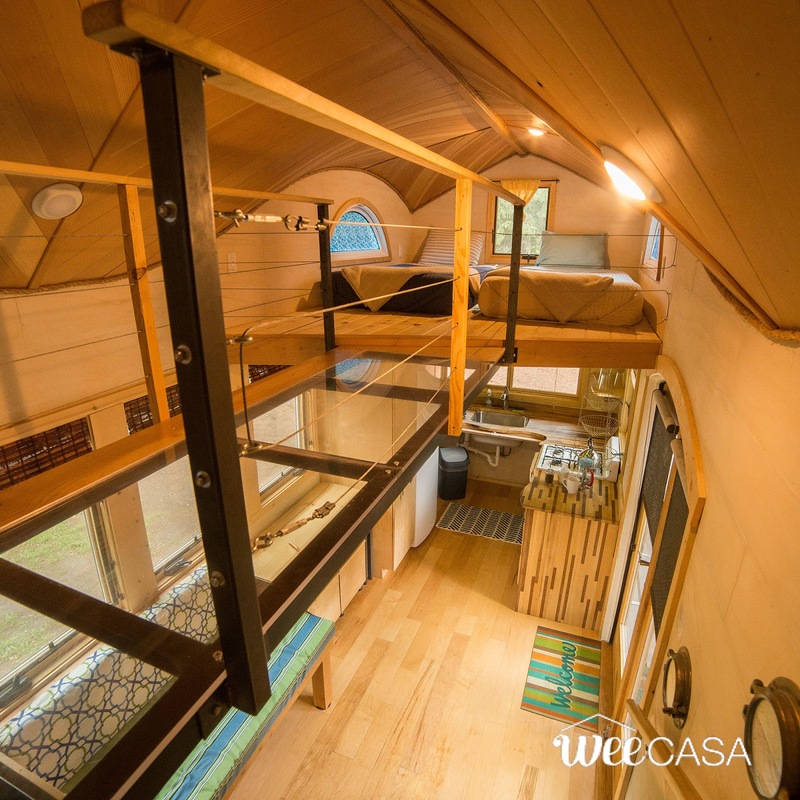 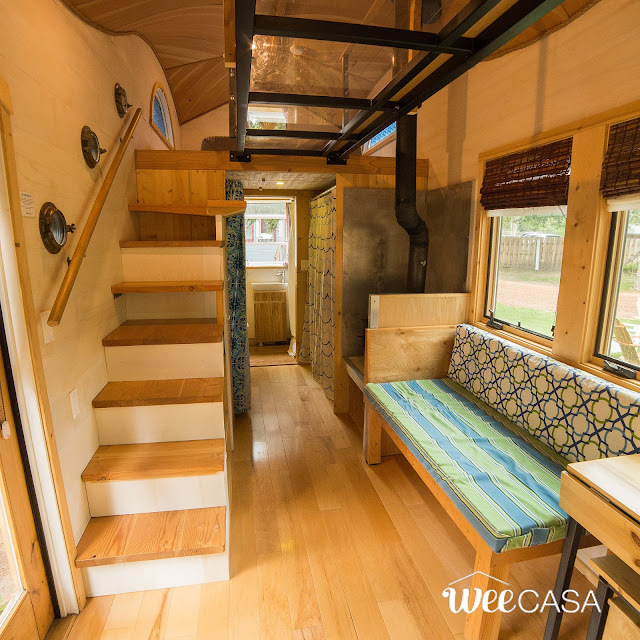 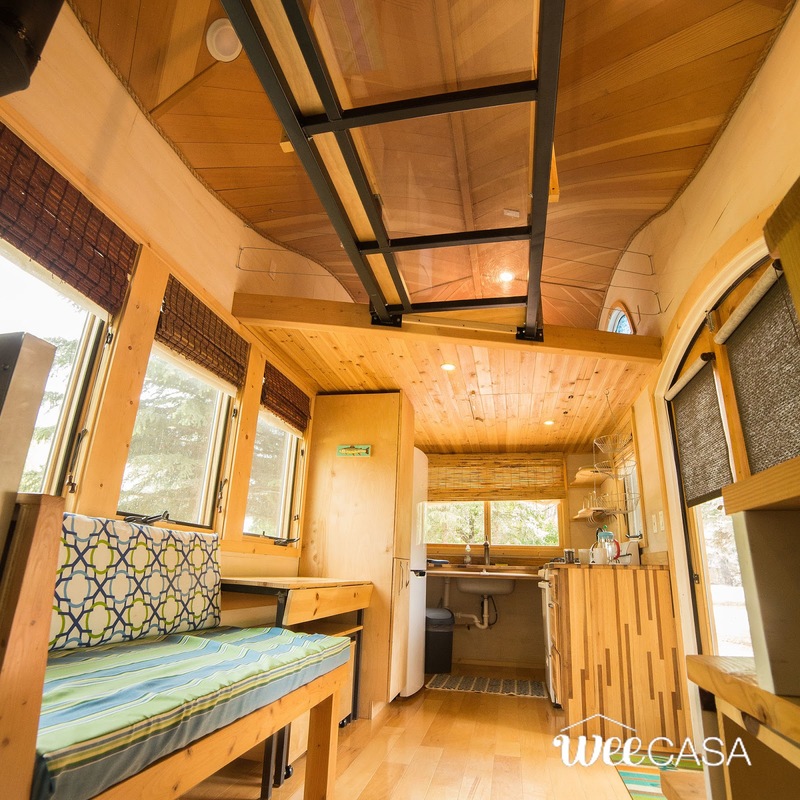 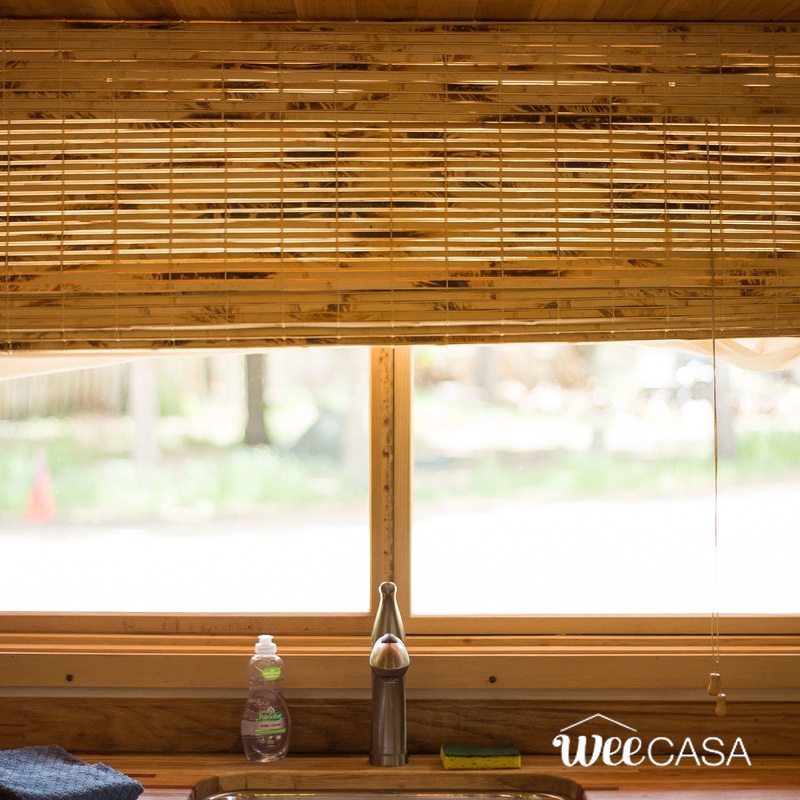 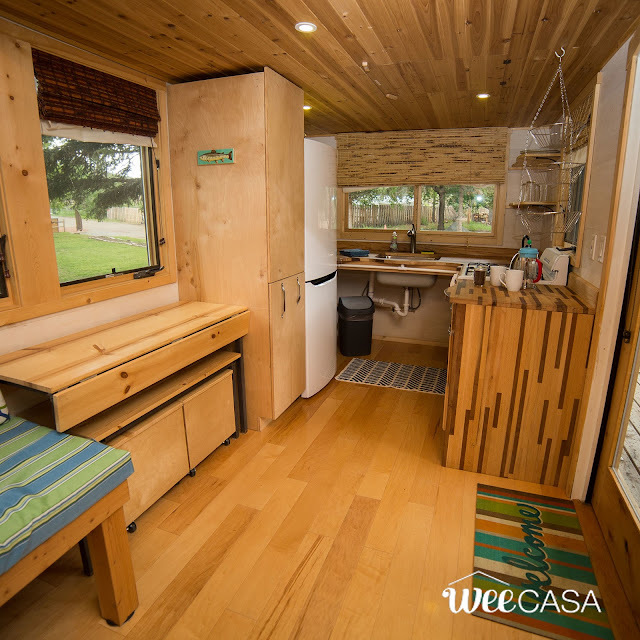 The 194-sq-ft home can comfortably sleep four people between a queen-sized bed and two twins. 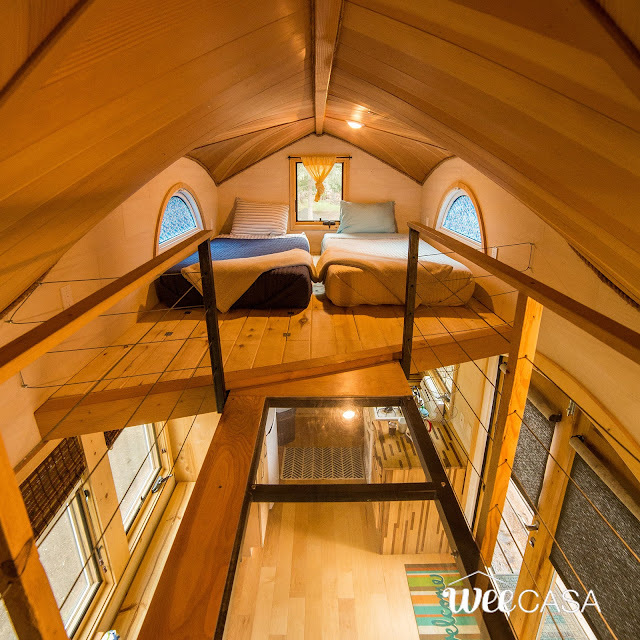 All three beds are located in the loft area of the home and joined by a plexiglass catwalk. 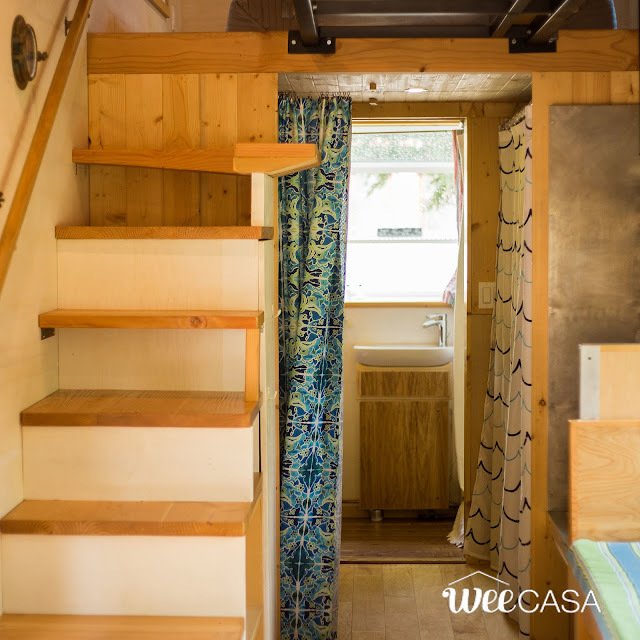 The living room of the Pequod features a custom moveable couch, a dining table, closet, and plenty of storage. There's also a kitchen with a four-burner stove/oven, a sink, and a full-sized fridge. 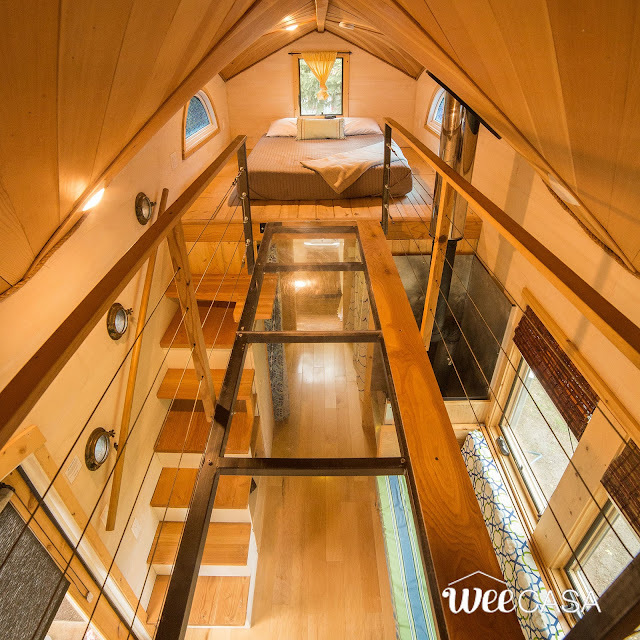 The Pequod is available for rent here at $139 a night! 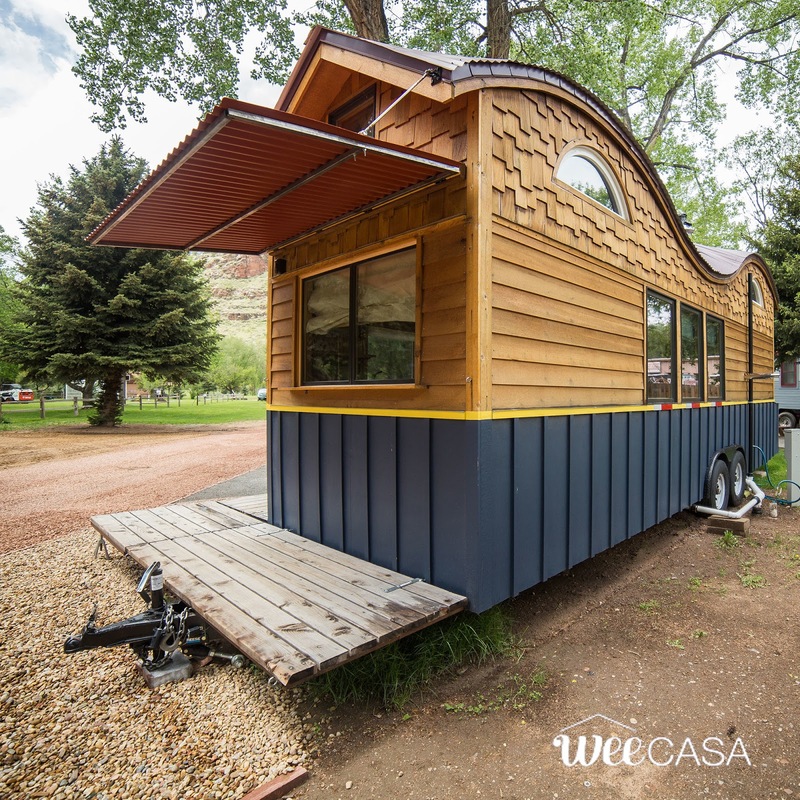 You could also order your own from its builder, Rocky Mountain Tiny Houses, for around $80,000!